With an ingredient that’s been around for over 2,000 years, it’s hard to imagine that there could be very many “food revolutions” with the ingredient. 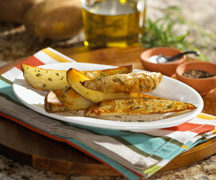 Surely, in the past two millenia, we’ve cooked, steamed, baked, and prepared the food in every way imaginable, right? Well, when it comes to chocolate – we’re wrong! In 2009, Bubble Chocolate changed the US chocolate industry by launching a new chocolate that is infused with air bubbles. Bubble Chocolate is leading the charge to help popularize aerated chocolate in the United States. Made in Europe (since the US doesn’t currently have the needed technology), Bubble Chocolate follows a carefully calculated manufacturing process, infusing air bubbles at specific times and temperatures in the chocolate making process. Then they are molded and cooled so that the bubbles inside the chocolate are maintained while the outer shell is formed. The result is an entire bar of chocolate that is made to give your the best chocolate experience. The air bubbles help to bring the chocolate close to your body’s temperature (when you get the most satisfying flavor) and help the chocolate melt in your mouth faster. When you open the pacakge of Bubble Chocolate, the first think you’ll notice is that from the outside, it appears to be any ordinary bar of chocolate, but it’s about two times thicker than your average bar. Flip to the back of the package and you’ll notice that there are just 100-110 calories for six pieces of chocolate, or ~200 calories for half of a bar. Break open the bar of Bubble Chocolate and you can clearly see the various air bubbles that have been trapped inside the smooth chocolate exterior. The time-tested method is to start by breaking off a small piece of Bubble Chocolate and popping it into your mouth. Let it melt for a few seconds. As you begin to feel the bubbles soften begin to chew gently. 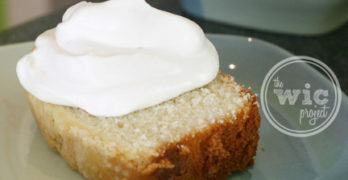 The mouth-feel will develop from slightly dry, to moist and creamy. Bubble Chocolate is designed to be savored. We followed this special method of chocolate eating while we sampled both the Milk Chocolate Bubble Chocolate and the Dark Chocolate Bubble Chocolate. The milk chocolate is 38% cocoa and smoothly blends chocolate and milk flavors. It has the milder and sweeter chocolate flavor that is typical to milk chocolates. The dark chocolate bar is 60% cocoa and will satisfy the dark chocolate devotees out there. I felt like I was biting into a decadent chocolate cake. When your first bite into the bars, you’ll immediately notice a different texture, seeming to be a little grainy at first. As the chocolate melts slowly in your mouth, that dry texture gives way to a creamy chocolate sensation. I loved that the flavor lingered lightly on the palette without being too thick. The effect of the air bubbles really seemed to heighten the flavors of the chocolate and I thought it almost made the chocolate taste sweeter and purer than other bars I’ve tried. On a side note, I found that even as I held the chocolate in my fingers, the heat from my hand started to make some of the little air bubbles pop, so you could actually feel little chocolately pockets. Bubble Chocolate Bars a truly a unique chocolate eating experience that you must try! 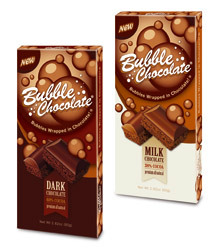 Bubble Chocolate is available for $2.49 MSRP in select stores nation wide, and may soon be coming to Wal-Mart and Target. 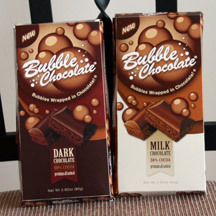 For more information about Bubble Chocolate, please visit their website at www.bubblechocolate.com. What’s Cooking at DD Bubble Chocolate Giveaway! 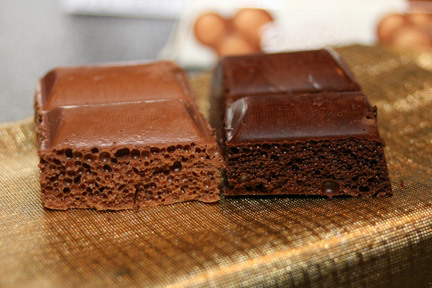 5 people will win 1 Bubble Chocolate – Dark Chocolate Bar and 1 Bubble Chocolate – Milk Chocolate Bar! I have recently started hosting my giveaways a little differently. Many of you provide great comments and I think it’s a shame to keep them all to myself, so I’d like to give you all the opportunity to see what others are saying. Make sure you COMMENT WITH YOUR QUALIFYING ENTRY and use this ENTRY FORM for your extra entries! THIS ENTRY IS REQUIRED FOR ALL OTHER ENTRIES TO BE VALID (+1): Remember to post this as a comment. It’s a battle of the chocolates! Tell me if you prefer milk chocolate or dark chocolate. Five winners will be selected at random for this prize. Giveaway ends at 11:59 PM EST, April 13, 2010. Disclaimer: This post consists of my (and/or fellow tester) opinions only. Your experiences may be different. No compensation was given for this review/giveaway. I did receive free Bubble Chocolate from the manufacturer or their representing PR agency to use and test for the purposes of this review. This did not affect the outcome of this review. It depends on the day for me but most days I prefer milk chocolate. the 60% dark chocolate sounds wonderful! I know I should like dark chocolate better, but I'm a milk chocolate gal. Most of the time I prefer milk chocolate (although I like dark, too…just not quite as much). I know that dark chocolate is supposed to be better for you, but, I like milk chocolate so much better. To me dark chocolate has a bitter taste. I love dark chocolate. The stronger the better. 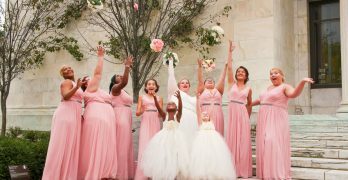 Milk Chocolate all the way! I prefer dark chocolate by far! The darker the better. I like both depending on my mood! I know it's not cool, but I love milk chocolate. I prefer milk chocolate, as you can eat more it in one sitting! Dark chocolate is my fave! DARK is definitely my chocolate of choice. And the darker the better! Thanks. I prefer milk chocolate, and this bubble chocolate looks just like Choco-Lite from the '70's. For me it has to be milk chocolate all the way! Today, I chose milk chocolate… but reserve the right to change my vote at any time… as the mood strikes! I LOVE DARK CHOCOLATEWHY YOU MAKING SO DIFFICUT TO ENTER? WHY YOU MAKING SO DIFFICUT TO ENTER? I'm all about the dark chocolate – the more bitter, the better! I prefer Dark Chocolate. Thank you for the chance to try something new. I just love milk chocolate! I usually prefer milk chocolate, but I've been eating more dark chocolate lately. I'm always very happy when my natural instincts align with something healthy, and the dark chocolate (which I love and which has anti-oxidants) bar looks wonderful to me! i'm a dark chocolate fan! I prefer dark chocolate, but am certainly willing to eat milk chocolate at any time! I prefer dark chocolate. Thanks. I know that dark chocolate is better for you, but I prefer milk. I think the milk chocolate sounds yummy. I adore dark chocolate, but I have to say that I almost always choose milk chocolate over dark if I'm asked to pick between the two. Dark Chocolate gets my vote. Mmmm. Dark Chocolate is my choice! I'm a fan of Milk Chocolate! But I will eat Dark occasionally. Sometimes Milk is too rich. I like both, but I'm the only one in my household that likes dark chocolate. So if I buy dark chocolate I know it's all mine (haha). Fan of Bubble Chocolate on Facebook! Dark chocolate rules!!!! Plus, it is better for you!!!! Thanks! I'm definitely a dark chocolate lover! I prefer dark chocolate and would like to try this and see what all the fuss is about.